I say this every year but going to the pumpkin patch is consistently one of my favorite days with the boys. And if I'm lucky, we can make it to multiple patches before fall is over (the more the better.) There is nothing about it I don't like and this year was another great one! 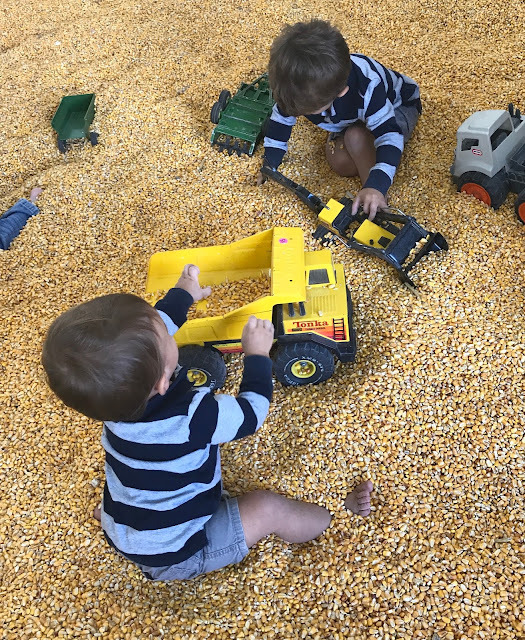 This was our first time visiting Leeds Farm, which is about 30 minutes from us, and we were blown away by how many activities they had to do + at the gorgeous property! 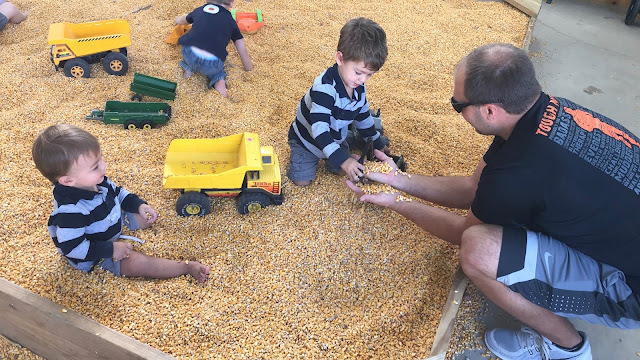 They had farm animals, hayrides, barrel rolls, ziplines, banana bus, straw barn forts and slides, pedal carts, tractors, corn boxes, all kinds of desserts, and kettle corn. Pretty much had ALL of the fall farm fun you'd ever want and more. We easily spent 2 hours here and could've spent longer. Love these adventurous, always keeping me on my toes, happy boys to pieces.